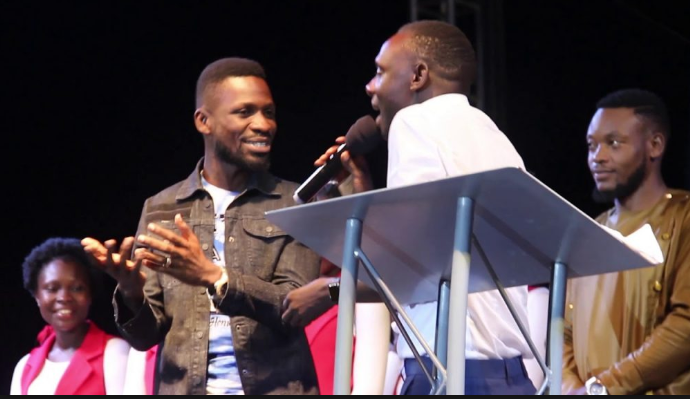 Pastor Wilson Bugembe turns heads again during a mass prayer with Bobi Wine in attendance and swore to never vote for Bobi Wine even when he contests for Presidency of Uganda. He adds that he is not yet convinced by the Kyadondo East MP for the presidency post . 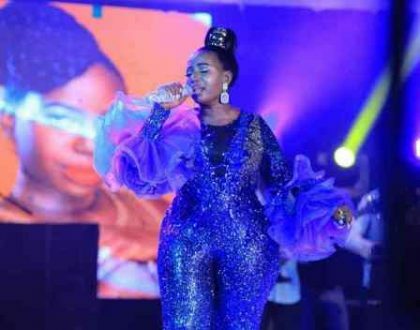 Last the December Pastor Bugembe featured in the people power anthem political song dubbed “Tuliyambala Engule” which he went in denial that he didn’t know it was a political project, Pastor Wilson Bugembe has now even vowed to never vote for Bobi Wine as of late . 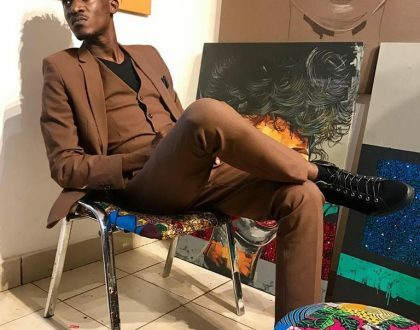 Pastor Bugembe later joked it out and said he would not be on the frontline with Bobi Wine to be shot . He jokes saying they will shoot them alone as for him they will not . ‘iam a man for Museveni’ says the controversial pastor. He later calls Bobi to speak and warns him not to speak ill about his Museveni.